Oakalls author Sue Watson has branched out from romantic comedy fiction with her latest novel, a dark and twisted psychological thriller. 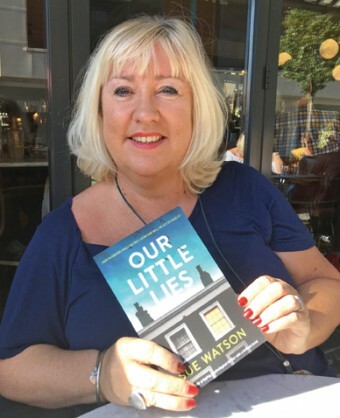 Sue tells us that Our Little Lies, her 13th book, sold more than 10,000 copies in its first week and shot to the top of the best-seller lists in the UK, US and Canada. Sue was previously a journalist and TV producer with the BBC and has been writing for the last 12 years. The rights have been sold to publish Our Little Lies in Poland and Italy where Sue’s other novels have been top sellers. The book is available in both ebook and paperback format on Amazon, Kobo and iTunes.